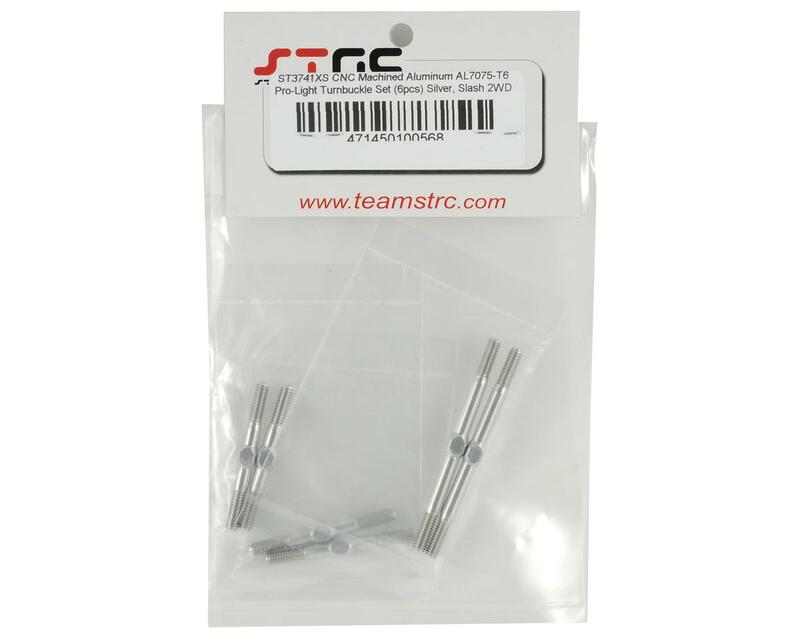 This is an optional ST Racing Concepts Aluminum "Pro-Lite" Turnbuckle Kit, and is intended for use with the Traxxas Slash. Looking for that extra edge in competitive short course truck racing? 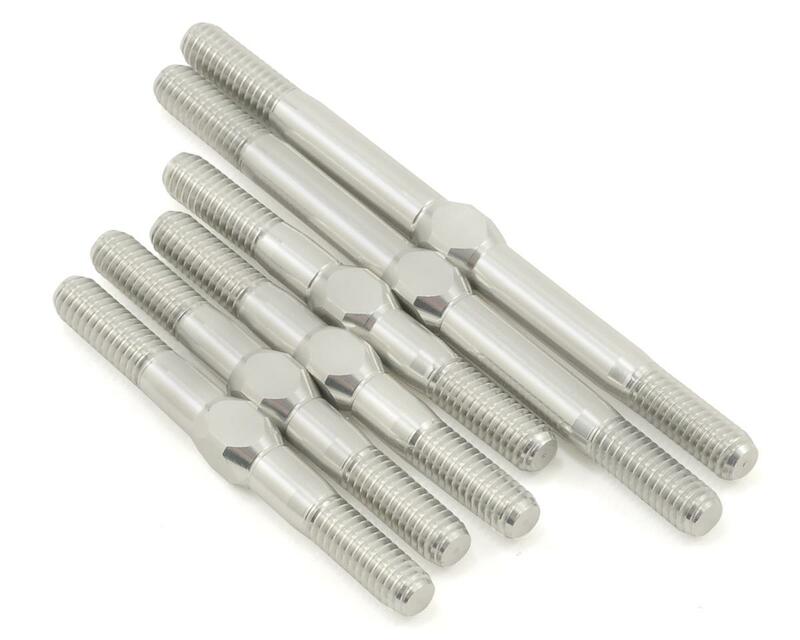 Weighing in at just over a 1/4 ounce, these CNC machined Aluminum turnbuckles will help to dramatically reduce the un-sprung weight of your truck. A complete set of six turnbuckles is only 8 grams! Not only are they lighter than titanium, they are also much more economical. The strength of 7075-T6 provides the durability you need for racing and the weight reduction allows for a more agile handling truck, especially in ultra competitive 17.5 stock class racing. Additionally, the turnbuckles are available in a variety of colors that match the current line of ST Racing option parts.